To maximize in-house talent and get the perfect blend of customized, progressive HR programs, make your one HR position an HR business partner (HRBP). One of the most common paths into HR is accidental. An ambitious employee takes on the task of general admin or reception. In the course of interacting with clients and employees, she becomes a trusted listener and learns a variety of perspectives on the business. Her ambition means she can get her normal work done and steps in to help others whenever she can. This exposes her to more aspects of the business and reinforces her role as trusted support. Fast forward 18 months and she is the de facto human resources person in an office manager role. As an HR professional, I believe this is where the system can breakdown. First, the organization and in particular the leadership, associates HR with a lower-level admin role. Regardless of how long that rock star succeeds, she will be viewed as someone who rose through the administrative ranks and that is a tough image to shake. For every opportunity she gets to step up to help at a higher level, she will continue to have a task that grounds her in administrative-level work. Second, she will often see herself as a detailed administrative person. Like most women in the workplace, she will think she needs more experience than she already has to get to the next level. She will seek out certifications and underestimate her experiences and skills when it comes to deciding which professional certification to take. Eighteen to 24 months later, she has an HR certificate from a for-profit institution and is paying someone to teach her to take an exam on tasks she has been doing for years. Her underestimation of her capability reinforces the perception within the office. Growing and keeping talent is the most cost-effective way to maintain a successful workforce. Simply put: employees gain institutional knowledge and the employer enjoys the benefits of retention. Thus, growing the receptionist or office admin into an HR professional can be a great boon to both sides. The key is to be intentional about the growth and the role. While most entry-level HR professionals follow the path from non-HR to HR coordinator, generalist then perhaps manager, both the employee and the employer would benefit by shifting the end goal from manager to an HRBP. The HRBP role encompasses a generalist’s understanding of HR operations with a distinct emphasis on the need to understand the business and how HR can support teams to ensure business success. 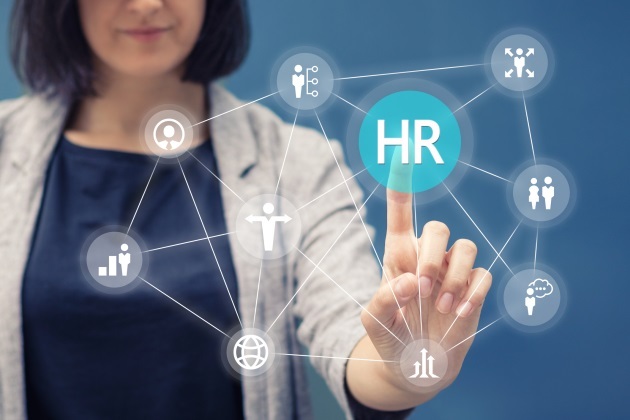 In other words, while the HR manager role reinforces the existence of HR in the workplace, the HRBP role reinforces the connection of HR to the success of the company. This simple shift in focus optimizes the connections the non-HR role had across the organization and builds upon the support role foundation. Instead of branching out to establish an HR department of one as a generalist or manager, the non-HR professional is encouraged to continue to make connections among HR services and the success of the business. This shift means everyone wins.